Visa Tools who sold me my wonderful bramble scythe have become customer service heroes. Whilst whacking around the brambles I managed to shake loose a grub screw that holds the blade to the handle (dismounting the blade is essential for sharpening) and lose it completely in the undergrowth. The kind folk at Visa Tools have sent me a replacement gratis. I can't thank them enough. They have all sorts of wonderful tools so take a look at their website and see what you can find, my list is half a yard long already. 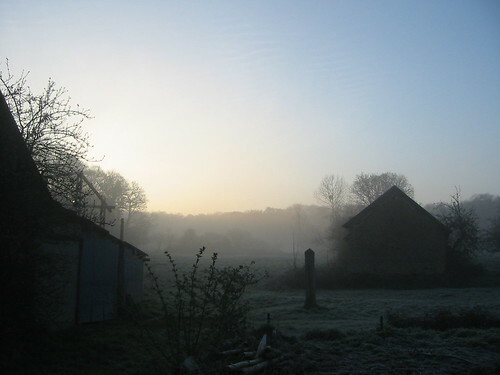 It's hard to express the joy I'm feeling with the current spell of good weather. 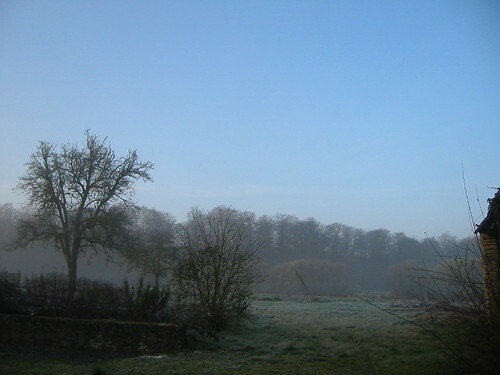 Frosty overnight perhaps but warm and dry all day means a great start to the growing season. I can dig, plant, cut back and titivate without a care in the world and it's wonderful. These pictures were taken at half past seven this morning, it's just too good waste lying in bed. 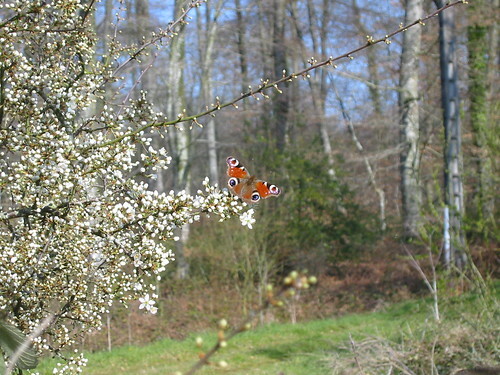 And look at this Peacock butterfly posing on the newly blossoming blackthorn. It doesn't look real does it, but there were several flying around today. I think I also saw the spring form of the Map butterfly briefly but it didn't stop long enough for certain identification and no camera to hand. The joy is evident from the sudden (welcome!) increase in posting frequency. Those are really lovely photos. Sarsparilla, luckily the camera cannot lie, it's really lovely here. Nice to hear from you again.